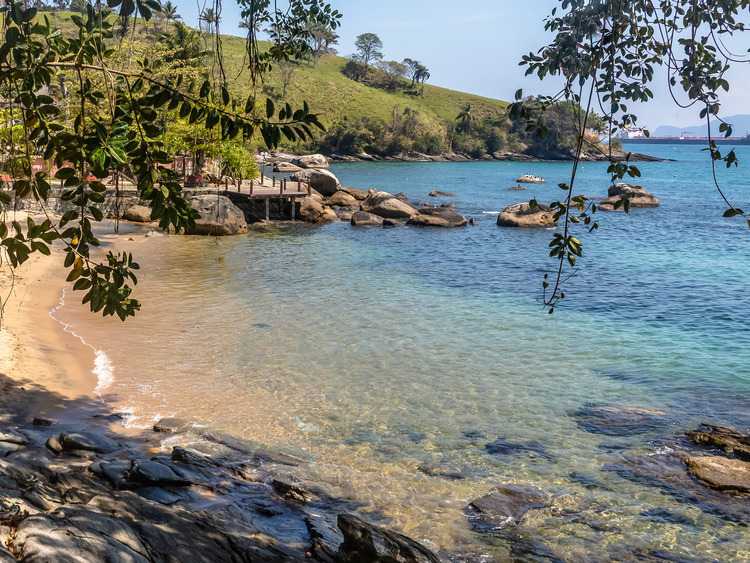 Explore the enchanting coast near Ubatuba on an unusual but fun means of transport: standing on a paddle board, we slide along the tranquil waters and admire enchanting views. We leave our port behind us together with our guide and a short transfer takes us to Portinho beach, lapped by tranquil waters which welcomes us with amazing views characterised by blue sea and green vegetation. Our toes sink into the sand as we get ready for stand-up paddling, which uses a board similar to a surf board where you can stand up and navigate using a paddle. After the necessary safety instructions, we find our balance on the board: the placid waters of the sea are ideal for stand-up paddling, even beginners and children won’t have any difficulty getting acquainted with this fun means of transport! Our adventure starts when we are all ready to leave. We slowly paddle along the amazing coastline while admiring the magnificent views around us.